I’m not competing in any challenges this year as I want to concentrate on reading new books that come my way, catching up with series that I’ve fallen behind on and rediscovering old classics. However, given that Anya Lipska’s Where the Devil Can’t Go was in my top five reads of 2012, I’ve decided each month to read a book that is only available in e-format. Furies by D L Johnstone caught my attention because of its ancient Alexandrian setting. 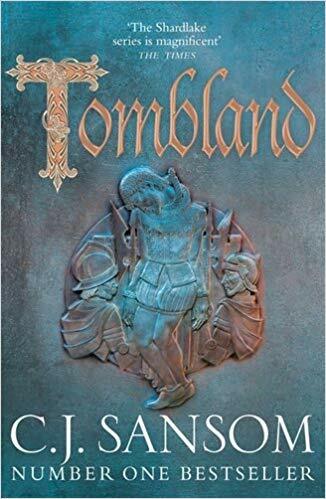 As I’ve mentioned before on this blog, I love historical mysteries but they have to be well written and this book has begun to garner some decent reviews. The 36 AD Alexandria of Furies is part of the Roman Empire and a centre of trade and commerce. For some, it is a city of untold riches but the shifting fortunes of business can result in disastrous financial predicaments. Decimus Tarquitius Aculeo is a man who has been ruined by a calamitous investment. The man responsible for his misfortune has disappeared leaving Aculeo penniless and deserted by family and friends. Aculeo is determined to trace the man, but his quest leads him into danger. A murderer is moving through the city, killing first a slave and then a courtesan, and his fate seems linked to that Aculeo. This is an intelligently written thriller which comes across has having been very well researched. Alexandria is well portrayed as a city mirroring other outposts in the Roman Empire but with a greater sense of its own self-worth. It is a difficult balance when writing books set in this period to get the language just right. You need to avoid what Ariana Franklin used to term the ‘gadzooks’ style of narration where the language sounds unnaturally archaic. Johnstone has avoided this through the use of a contemporary sounding dialogue mixed with specific Alexandrian terminology, such as hetaira for a high-class courtesan. This works well. And, as an aside, there is a character in the book, a female doctor Sekhet in the mould of Franklin’s Adelia Aguilar who will appeal to fans of that series. It was a complex plot but kept my attention throughout and had an unforeseen conclusion. I would also like to mention how impeccably formatted the book was. This is the benchmark which all e-books should look to emulate. I don’t think I saw a single typo or line or paragraph out of sync. It’s the first time that I felt like I was reading a paper edition of a book on my kindle. I received a copy of the book from the author. It has also been reviewed at In Search of the Classic Mystery Novel. Sarah – I like historical mysteries too when they’re well done. And this one sounds as though it is. It’s interesting too that you would mention language. You’re right that it’s difficult to balance using authentic terms from an era and so on while at the same time making the narrative and dialogue flow so that it keeps the reader engaged. I’m glad Johnstone does that in this novel. Thanks Margot. I agree that language is a difficult balance to get right. I think it’s done well here, and the earthy vernacular effective in representing the rough and tumble of a city. I haven’t read any Mary Renault books at all Moira but I’m pleased that they are of a high standard. She sounds like a writer I might be able to pick up second hand. I’ll look out for the ones you recommend. This sounds like an interesting read, and I’ll have to download it for my next trip. When historical novels are done well they flow off the page, but all too often they become stilted and anachronistic. Thanks for the review! You should download it Anwen. I think you’d enjoy it. This sounds interesting, and I like historical mysteries, although I have never gone that far back in time. Yet. I am planning to read some e-books this year, so maybe I will try this one. It is also good to hear it did not have typos, etc. Although I run into more and more paper books with those problems nowadays too. Thanks for the review and I look forward to more of your e-book reviews. Yes I find the problem with paper books too Tracy but much less than with e-books. I’m going to try and read an e-book each month when they take my fancy. I’ve never read about that time period either nor has historical crime fiction been my preference. However, I love Adelia Aguilar and a few others in that genre. The period in Rome sounds interesting. I may use a ploy that I sometimes utilize about these books. A good friend loves historical mysteries, loved Adelia Aguilar and adores Anne Perry’s two series. However, I think I’ll buy her this one for her birthday and then borrow it back! It would be a good idea Kathy except this is currently only available as an e-book, You can’t (I don’t think!) be as clever with this format which is a shame as part of the enjoyment of reading is sharing your finds with others. Yes! Well, perhaps it’ll be out in a paperback eventually. I’ll keep looking. And, meanwhile, I may get the friend The Midwife’s Tale, which looks quite action-oriented but has a midwife in it. My friend is a retired health care professional so she’d probably like it. I have a friend from Greece staying with me at the moment Kathy and a BBC series ‘Call the Midwife’ is showing there on TV and is very popular. I’m not sure if it is on in the US. Good news Kathy – apparently a paper version of the book is coming out soon. So your plan might yet work! Ariana Franklin who I mention in the post is wonderful although her books are set in 12th century England. The first in the series ‘Mistress of the Art of Death’ is the best. I also like Lindsay Davis whose Falco series is set in Ancient Rome. I would go for one of the early books in the series which are the best. Hope this helps Prashant! I don’t have an e-reader but am seriously considering treating myself to one soon simply because of the growing number of tempting books that are only available in e-format these days. This sounds interesting – I don’t think I’ve read any ancient historical mysteries. I’m not familiar with Adelia Aguilar either but have just done a quick bit of research and they sound like something I’d enjoy with the details about the early days of forensics. A couple more for my wishlist there I think! I think an e-reader is good as a complement to paper books but can never properly replace them. I’ve found that the trick is to keep mine clear of half finished books.If something isn’t working, I need to remove it from the device otherwise it sends me reproachful signals everytime I open up the device. Would definitely recommend the Ariana Franklin books Marie – would be interested to hear what you think with your medic background.